These instructions are for PC users. If you’re on a Mac, click here for instructions on adding your badge to email using Gmail. If you’re having any trouble with adding your badge to your particular email client, contact the Acclaim Support Team. They’ll be happy to help you troubleshoot. ​From Acclaim, click the badge you’d like to embed in your email signature. Click the blue ‘Share’ button. Click the ‘Download’ icon. Choose the small image – that will fit best in your email signature. Click the ‘URL’ icon and copy it to your clipboard. Click ‘New’ to create a new signature. If you’d like to modify an existing signature, highlight it. Type any text you’d like in the signature, then click the ‘Image’ icon. Next, hyperlink the image by clicking the badge, then selecting the ‘Hyperlink’ icon. From Acclaim, click the badge you’d like to embed in your email signature. Hover your mouse over the badge and right click to copy it. Within Gmail’s settings, access your email signature. Back in Acclaim, click the blue ‘Share’ button underneath your badge. Next, click the ‘URL’ icon and copy it to your clipboard. Employers today aren’t necessarily only looking for candidates with the right set of technical skills and years of experience under their belt. They also want to hire those who also have something unique to offer — like a great personality 0r a strong set of soft skills. “In fact, if they find a candidate who has less experience than their competition, but has stronger growth potential and seems to be a better cultural fit, the employer may feel encouraged to hire that person,” said Edward Fleischman, chief executive officer of Execu Search, a full-service recruitment, temporary staffing, and retained search firm. Learning about what makes an applicant a good friend allows employers to get a better feel for whether or not they would fit in with the company culture,” Fleischman said. By RACHEL PREMACK, for TheLadders.com. Jacquelyn Smith contributed to a previous version of this article which first appeared on Business Insider. requires a Certified Manager of Community Associations (CMCA) to adhere to a high standard of ethical conduct. This means Certificants must comply with the 10 CMCA Standards of Professional Conduct, which govern their professional activities. These Standards of Professional Conduct, detailed at http://www.camicb.org/standards, range from understanding laws applicable to community association management, to being knowledgeable on association policies and procedures, to carrying out fiduciary responsibilities, and participating in continuing education coursework. A violation of any of these Standards of Professional Conduct may be grounds for administrative action and possible revocation of the CMCA certification by CAMICB. Abiding by these Standards of Professional Conduct help protect consumers and associations that hire or contract with community association managers. 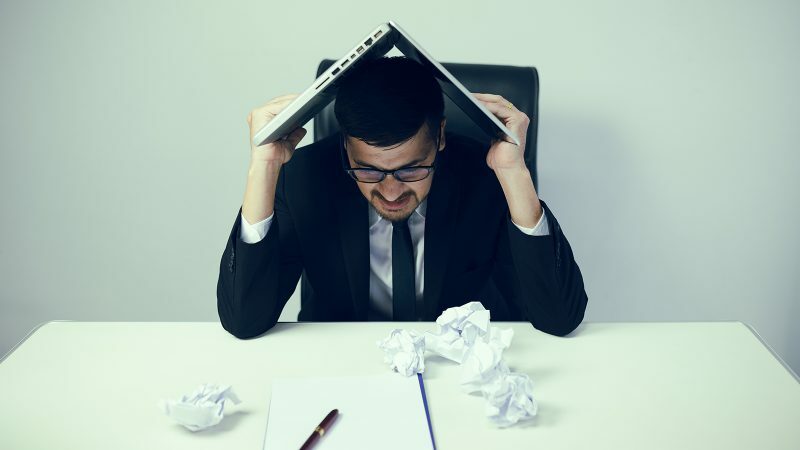 Time away from the office has diminishing returns if employees come back to an outsize workload and a demanding culture, a report from the American Psychological Association finds. Getting a little time away from the office is a great way to de-stress, of course—and your vacation euphoria can even follow you back into the workplace. But don’t expect it to last. Sorry to be the bearer of bad news, but a new report from the American Psychological Association highlights the limited impact of taking PTO. The 2018 Work and Well-Being Survey, based on research conducted by the Harris Poll in February and March, reports that many people find vacations energizing and helpful, but that often the effects of that stress release go away quickly. A big reason for that is what employees know they’re coming back to. When an organization’s culture encourages time off, employees are more likely to have the necessary stress recovery experiences when they use vacation time. Many employees find it hard to take time away. Just 41 percent of respondents said their organization’s culture encouraged employees to take time away. In contrast, nearly a third (32 percent) agreed or strongly agreed that their workload made it difficult to take time off, and more than a quarter (26 percent) worried about missing important information while on vacation. In a news release, David W. Ballard, the head of APA’s Center for Organizational Excellence, put the responsibility on leadership. By Ernie Smith for Associations Now, a publication of the American Society of Association Executives. Upgrading your association’s processes can seem like an inconvenience, but even small changes can better your organization. No organization is perfect, but continually updating processes that push your association forward can get you closer. That said, instituting organization-wide changes can seem like more of a hassle than anything positive. To make upgrading less time-consuming, Byers suggests starting small and focusing on how to better the member experience. You can also look to other organizations to see what has and hasn’t worked: Is there any inspiration you can draw from them, or would any of their processes benefit your association? By Sophia Conforti / Nov 8, 2018 for Associations Now, a publication of the American Society for Association Executives. In most companies, every quarter — or at least twice a year — you’re tasked with setting goals for yourself. As a way to manage your responsibilities, help you prioritize the most important deliverables and keep you tracking toward something, goals are often used as benchmarks of progress. If you meet ’em, you might earn a raise, a title change or bargaining power to ask for more vacation or flexibility. If you don’t — it’s time to work on improving your performance. 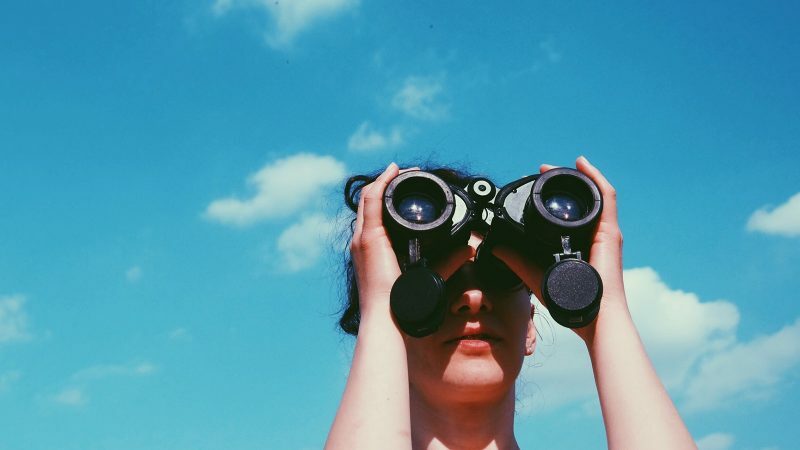 That’s what makes setting personal professional goals are bit trickier — since no one is holding you accountable, it’s tough to stay on track and pushing forward. That’s why long-term aspirations are recommended by career experts since you give yourself years — and hey, even a decade — to achieve them. As career coach and author Mary Camuto explains, these targets create focus, momentum, and markers of your success.“Goals should be tangible steps towards both your short-term needs/wants and your longer-term vision for your life Time will pass quickly whether or not you have set a direction or career course,” she shares. Once the day of your college graduation has come and gone, you’re running full-speed ahead toward that job you paid so much money to be qualified for. Your 20s and 30s are defined by climbing – up the ladder, up the ranks, up the SEO search pages, up, up and up. And if you’ve ever rock-climbed, you know how much strength and endurance it takes to keep pushing. What’s nice though? The semi-comfortable peak you should reach by 40, where you’ve created a name, a reputation and hopefully, a skill set that’ll propel you into the next phase of life and working. Don’t forget to take that elbow-rubbing and quick wit offline, too. Camuto says by the time you reach the end of your 30s, you should be in a leadership position within the community or industry you’re part of. “Build and participate in at least two networking groups related to your career: join or lead a committee, volunteer at events. This goal has impact to both your current and future success in that your resources and contacts broaden as well as your professional reputation,” she explains. Money matters are difficult for most people to discuss — and even harder to do something about. Though discussing retirement in your 20s or 30s might feel way too soon, the earlier you begin prioritizing your financial health, the better off you’ll be when 65 (or 70 or 75 … ) comes. “You should plan to pay off some debt in your 30’s and open a 401K at your company to begin planning for your financial future,” she shares. The less you worry about dollars in your banking account, the more time you can spend wowing your manager. For many, your 30s are a time of tremendous growth, whether it’s finally reaching a c-level title or starting and completing your family. With demands from every corner of your life, most people feel stretched thin, and well, really happy. Even so, it’s important to keep your career progressing as you inch through your 40s, navigating the process of aging mentally and physically. You never want to lose your competitive edge, considering you still have a good 20 years of work ahead of you. This doesn’t mean you have to go back to school, Weiner clarifies, but it does mean having a candid and open look at your skill sets to seek areas of improvement. You might fall off track as you become further removed from those college days, but a commitment to knowledge will allow you to keep up with recent grads. She suggests finding certifications — like Google Analytics or a coding course — that add another gold star for your resume. There’s a difference between a manager and a leader: even if you have ten direct reports, if you’re not inspiring them to greatness, you’re missing the mark. Not everyone is a natural-born trailblazer, so Weiner encourages 40-something professionals to acknowledge their weakness in this department. 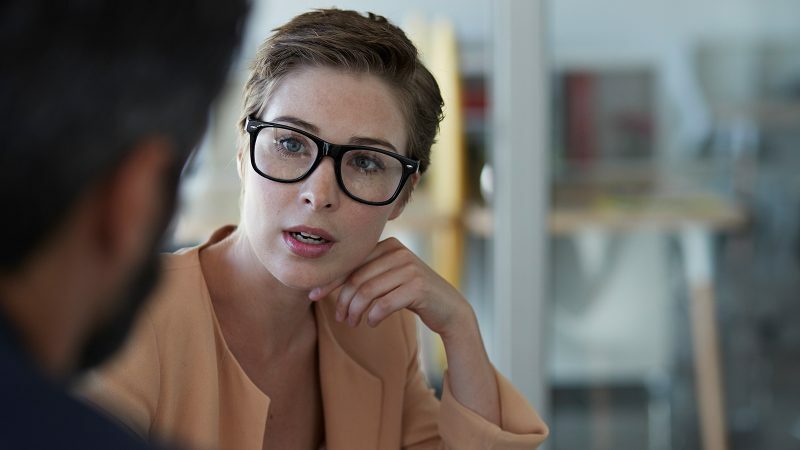 “Consider enrolling in an executive leadership or executive management program to enhance your leadership value and skill set, and start to get clear on where you will want to be for the next decade,” she says. As you reach mid-life, you’re probably going through a period of transition. Your children are getting older — as are you — and you could worry the best days of your life are behind you. Or more to the point: the most exciting times of your career have passed. Looking down the eye of retirement can produce a slew of emotions, but before you allow yourself to get carried away, remember there are still many years to shape your performance. Since most won’t retire until at least 65, discounting the last decade and some pennies will shortchange your career. You can’t go over it, can’t go around it — you must go through it … with a plan in mind. Weiner says strategizing your exit will rest your angst and also put you in the best possible situation once your final working hour closes. So go on, ask yourself: where do you want to be — and who do you want to be — when that day arrives? Probably not over-exhausted to your bones, but in a happy place of balance and accomplishment. “You might be looking for a big shift in your career and where you want it to take you on the tail end of your final decade of work. By now, you are practicing more work-life balance and also realizing the importance of vacation days and time away to travel,” she says. Sit with your investment advisor and with your family, and determine your timeline so you stay the course—sans fear. Workplace expert and industrial-organizational psychology practitioner Amy Cooper Hakim, Ph.D. says professionals in their 50s will reap rewards (and hey, some karma) from giving back to budding workers. Not only will you be an important figure in their career, but it might ignite a renewed sense of optimism and creativity in yours. “One of the biggest gifts you can give to your field and community is to help those who are in need of mentoring. As you teach a mentee the tricks of the trade, you may even be inspired by your mentee’s enthusiasm and overall interest,” she explains.